While New York may be known for both the Armory and Ocean Breeze, most athletes in the State are running on a flat track. But are they created equal? That was the answer we sought to seek. 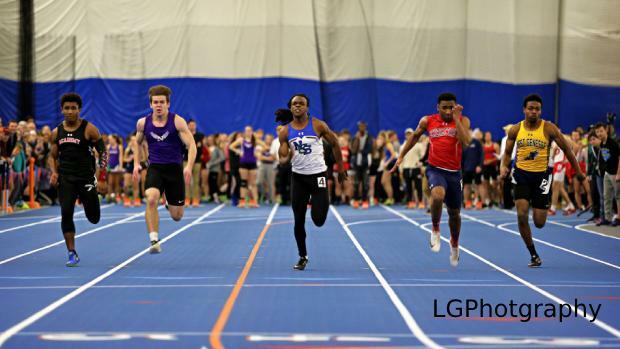 We took the Top 100 times for the Boys 300m at every well-trafficked track in the State, then averaged those marks. We chose the 300m because it was the shortest distance where the curvature of the track had an effect on the race. Below is what we found. There are several factors, both intrinsic and extrinsic, to judging the speed of a track. Intrinsically, things like the length of the turns, the quality of the track surface, the number of lanes, and the facility it is housed in all have a significant effect on how fast the track runs. Extrinsically, the quality of the athletes running on the track, the number of athletes, and the ability to bring in out-of-Section teams can all skew the data. However, we found roughly the same numbers across all tracks, which leads us to believe we were getting closer to the truth. The numbers for our two banked tracks are skewed. We chose to only include New York athletes, and the schedule for the two facilities is very different. For most cases, we used 2019 numbers, which means OB hasn't hosted the State Meet yet. Likewise, the Armory will play host to Indoor Nationals, but that meet doesn't include a 300m event. So take each number with a grain of salt, comparing apples (banked tracks) to apples. Below, you will find the raw numbers. Suffolk Community College came out on top. It also had the lowest time in their 100th fastest performance, with a 39.54. Next up was the newly renovated Barton Hall on the Cornell Campus, home to numerous prior State Meets. We had to dig back to 2018, as meets have been transitioning to Ithaca College in Section 4, but we wanted an idea of what the renovation did for the facility. In comparison, before the renovation, Barton Hall averaged 39.76 for the same point in the season back in 2013. And lastly, we have RIT, with sprint powers of the Rochester Area aiding to their average.